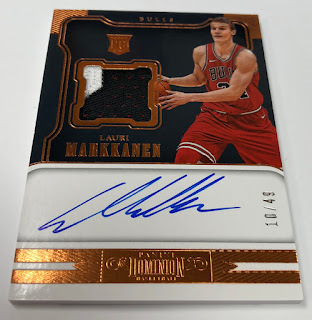 Panini America’s Dominion Hockey product was something of a one-year wonder when it released during the 2013-14 season. But it made enough of an impact that it’s reputation kept the brand — or the idea of the brand — alive. 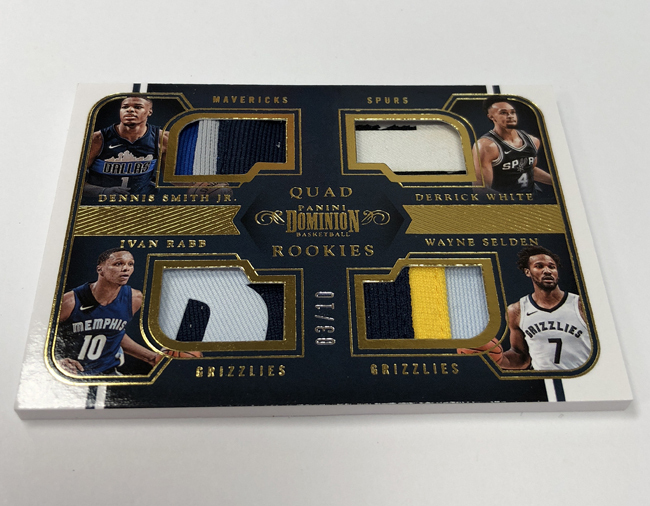 Now, more than three years later, Panini America Product Development officials are dusting off Dominion for another run — this time in the NBA. 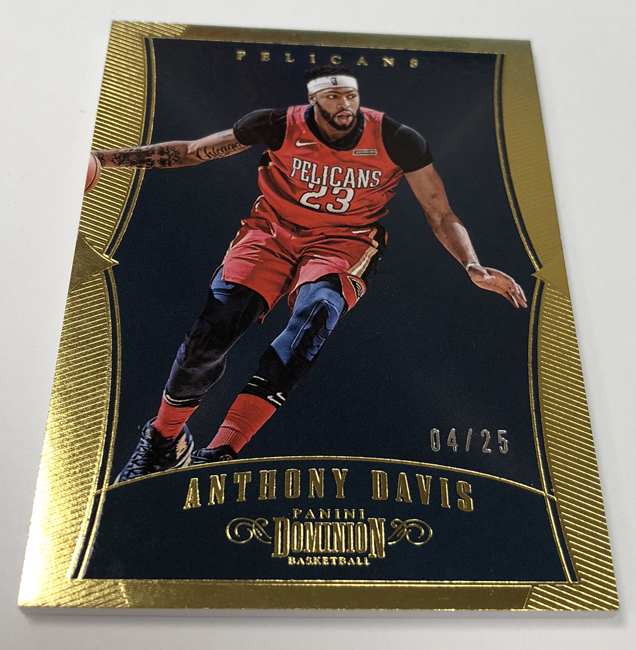 Set to arrive at Sports Cards Plus, a.k.a. 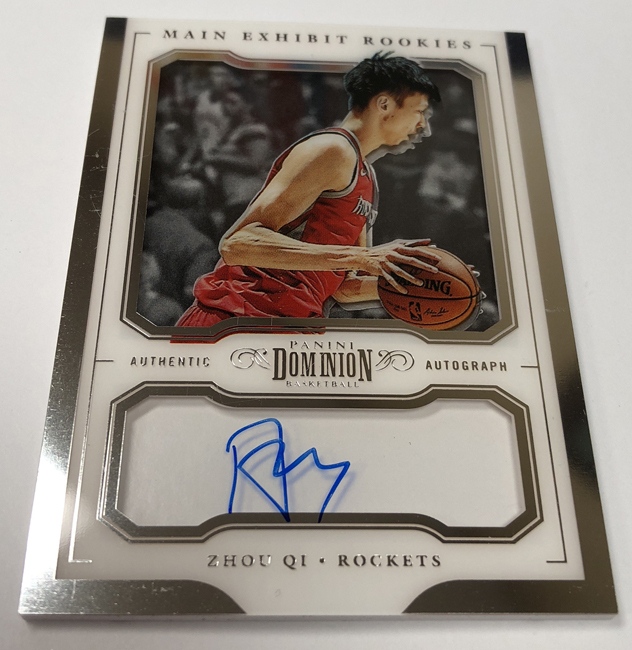 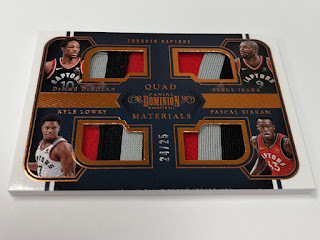 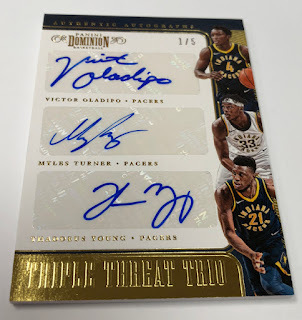 The Super Hit Factory on Wednesday, 2017-18 Dominion Basketball ($280 per box), like its hockey predecessor, will deliver a spectacular array of high-end autograph and memorabilia cards. 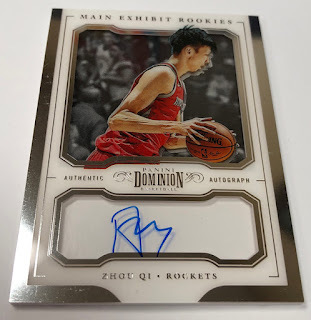 On average, each hobby box (six cards per box, six boxes per case) will deliver three autographs (including one Rookie Jersey Autograph), one memorabilia card. 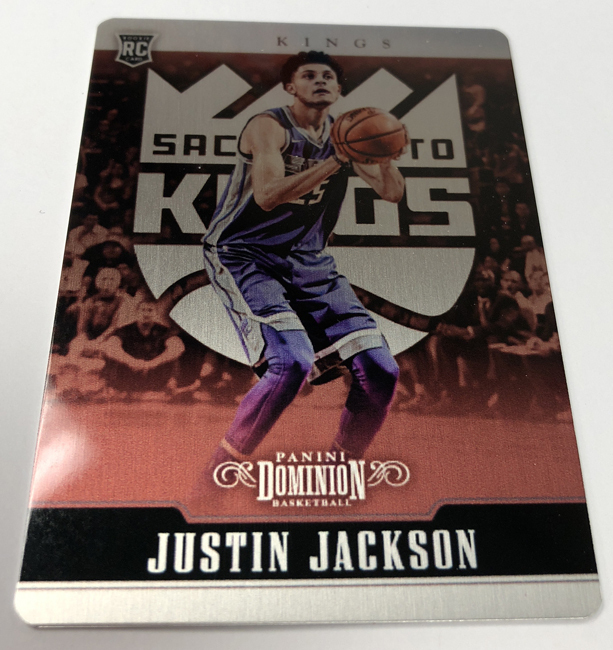 one base card and one Metal Rookie Card.